"It's a funny game. You think of many ways to get a batsmen out. Amla and Elgar played well. In pressure situations, when wickets go down in Test cricket, it's very difficult to come back," the Indian captain said. India skipper Virat Kohli praised his bowlers after the victory over South Africa in the third and final cricket Test here on Saturday. Needing to score 241 runs in their second innings, South Africa were bowled out for 177 as India won by 63 runs. South Africa won the series 2-1. 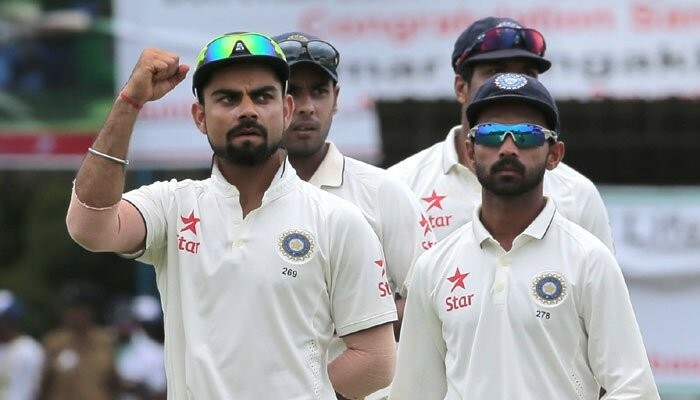 Despite the series defeat, the Indian fast bowlers did a fantastic job over the three matches as they matched their more illustrious South African counterparts blow for blow. 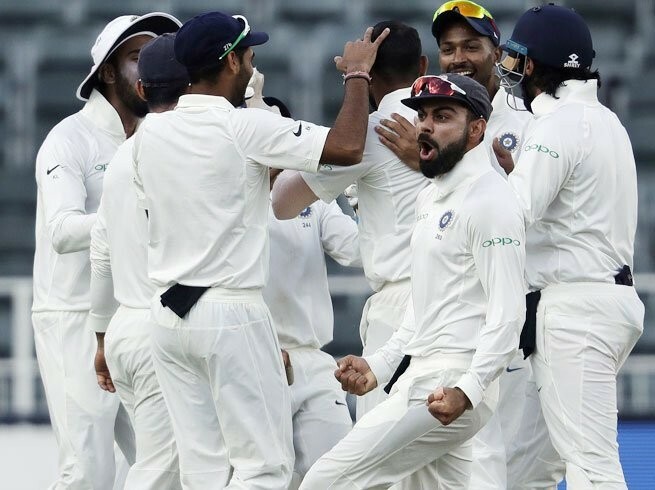 In the third Test, India fielded an all-pace bowling attack after a long time and reaped rich rewards on a pitch which was difficult to bat on. "The bowlers were the biggest positive; we haven't done 60 wickets in the past. We want to correct certain mistakes. That lower-order showed character. This win feels great," Kohli told the media at the end of the match. "We required some character on a pitch that was very difficult but our guys showed great guts. Batting first didn't go down well with a lot of people. Hats off to the team for showing character after the series was gone," he added.